For nearly a decade, Carole King wrote Brill Building pop with her then-husband, Gerry Goffin: hits such as Little Eva's "The Loco-Motion" (Eva Boyd was the couple's baby sitter) and the Monkees' "Pleasant Valley Sunday." Then King's friend James Taylor encouraged her to sing her own tunes. She slowed down "Will You Love Me Tomorrow" (originally a hit for the Shirelles in 1960), heightening the melancholy inside, while her warm, earnest singing brought out the sadness in "So Far Away" and "It's Too Late" and the earthy joy on "I Feel the Earth Move." 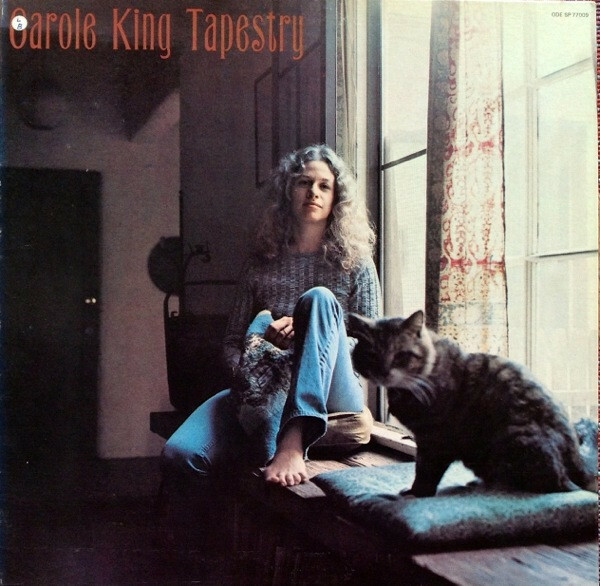 On Tapestry, King remade herself as an artist and created the reigning model for the 1970s female singer-songwriter – not to mention a blockbuster pop record of enduring artistic quality.